After overcoming my fear of poisoning my dearest friends and family, I dove headfirst into the, “Great Fig Jam Making Experiment of 2011.” Let me just say that prepping 10lbs of very ripe figs is a very messy process. 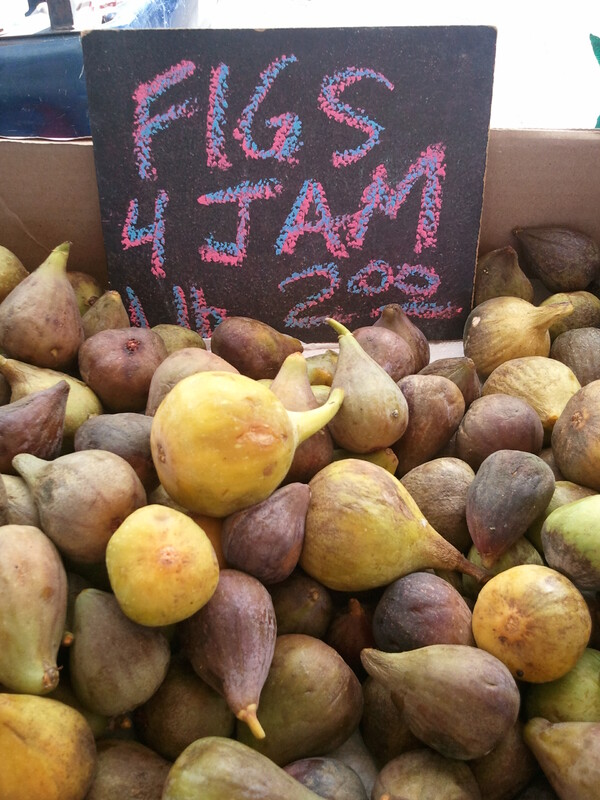 I had decided to follow a relatively easy, (and pectin-free) fig jam recipe I found online. Once I had de-stemmed the figs, I simmered them over low heat with an un-Godly amount of sugar and lemon zest and then set about prepping the jars and lids. The reasons I chose the above-mentioned recipe were because, 1) it required only three ingredients; 2) it provided instructions for checking the “doneness” of the jam; and 3) it detailed the jar prepping and pasteurization process. I found that I actually enjoyed the jam-making process. It was so scientific and creative at the same time, while the end result was delicious. In fact, I enjoyed to process so much that later at a food bloggers conference, I begged the Harvard Press rep to let me have a copy of Linda Ziedrich’s, “The Joy of Jams, Jellies, and Other Sweet Preserves.” I was hooked. About a month ago, I decided that Madison and I were going to make peach jam from one of the recipes in my newly acquired cookbook. She loves to help out in the kitchen and I figure it’s a good way to teach her math, science and patience. Plus peaches were just about out of season and visions of peach jam slathered on hot, fresh bread in January were dancing in my head. I put her in charge of the peaches while I prepped the jars and lids. 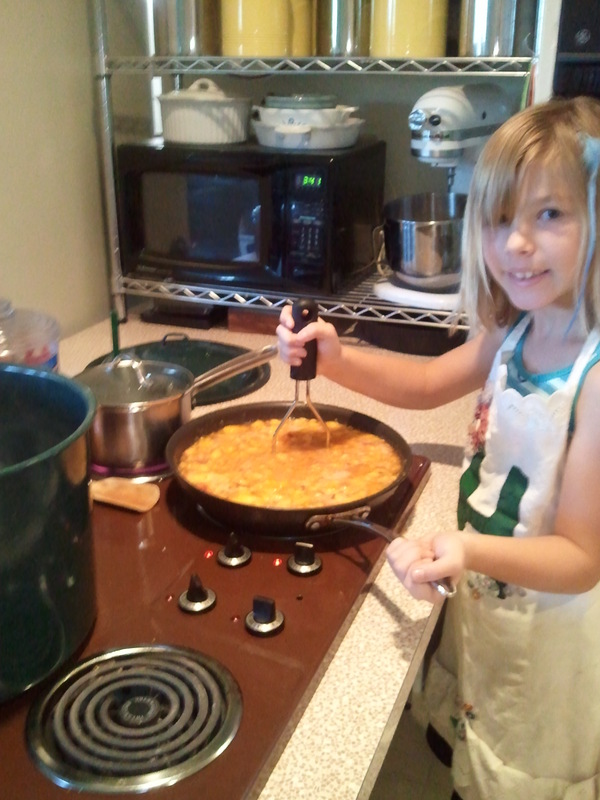 Her favorite part: mashing the peaches with a potato masher until they were all gooey. She helped me get the jam into jars and watched as I dropped the jars into the boiling water to set them. 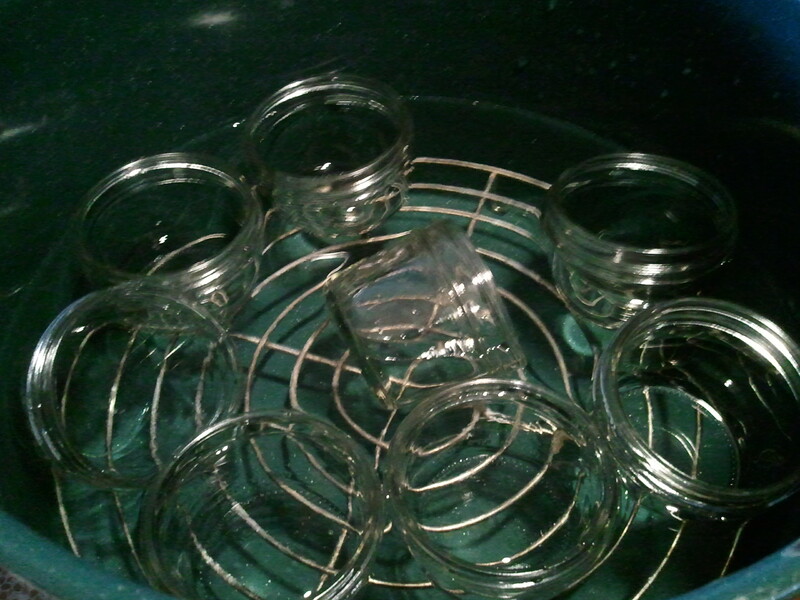 Later we carefully lifted the jars out of the pot and set them on the washing machine to cool. Madison kept coming into the kitchen to check on her jars. I’m pretty sure she had visions of jam and bread in her head similar to mine. What a great post! This is my first year making jam as well, and it was all we could do to keep up with the plum trees in our backyard. We also ended up canning tomatoes from our garden and pickling a TON of hot peppers. I wish this was something I’d learned how to do when I was little instead of discovering it now. Great that you’re including your niece! “…peach jam slathered on hot, fresh bread…” on Christmas Day? Hmmmm?